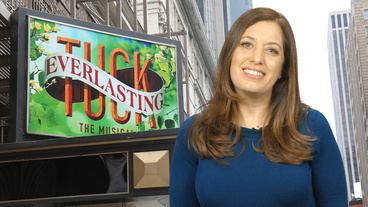 Take a journey you’ll never forget in this daring new Broadway musical about love, family and living life to the fullest. Forever 17: Backstage at Tuck Everlasting with Andrew Keenan-Bolger, Episode 8: Farewell! When Winnie Foster discovers the magical secret of the Tuck family, she embarks on an extraordinary adventure that will change her life forever. Take a journey you’ll never forget in this daring new Broadway musical about love, family and living life to the fullest. 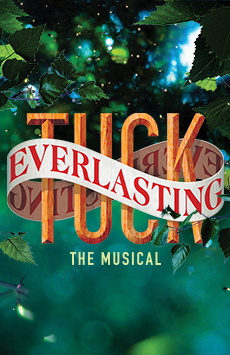 Based on the best-selling, award-winning novel by Natalie Babbitt, Tuck Everlasting is brought to life with world-class artistry and powerful storytelling in a sweeping production featuring a book by Tony Award nominee Claudia Shear (Dirty Blonde) & Tim Federle (Better Nate Than Ever), music by Chris Miller (The Burnt Part Boys), lyrics by Nathan Tysen (The Burnt Part Boys), and direction and choreography by Tony Award winner Casey Nicholaw (Something Rotten!, Aladdin, The Book of Mormon).